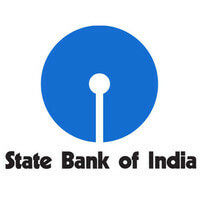 SBI Recruitment 2019 – State Bank of India notification announced for Senior Executive (Research Analyst) in Specialist Cadre Officers. The detailed eligibility and application process are given below. Educational Qualification: CFA/CA/MBA (Finance)/PGDBM (Finance) from any recognised institution by regular course with 60% or equivalent grade. Experience: Minimum 2 years’ post qualification experience in the respective fields in Banks/ PSUs/ Corporates. Mere fulfilling minimum qualification and experience will not vest any right in candidate for being called for Interview. Mode of Payment: Online Mode using Internet Banking/ Debit Card/ Credit Card etc. How to apply SBI recruitment 2019 for SO? All interested and eligible candidates can apply for this position in online latest by 25 April 2019.